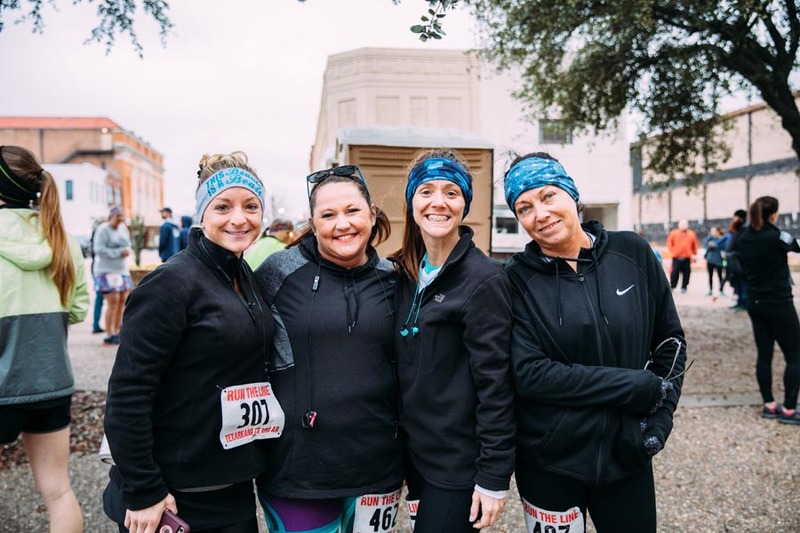 On February 18, the rain held off and 622 runners and walkers took off down Broad Street on a 13.1-mile race through both Cities of Texarkana. 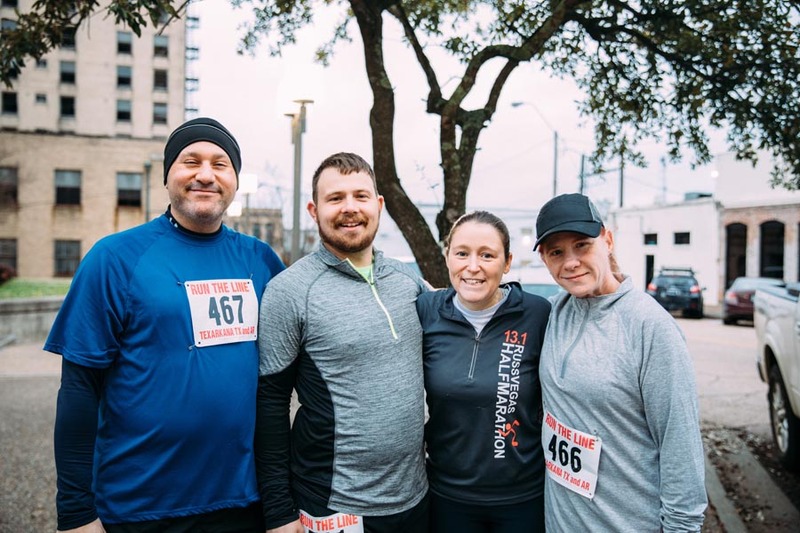 Texas Mayor Bob Bruggeman and Arkansas Mayor Ruth Penney Bell fired the starting guns at 7:30 a.m. for the 11th Annual Run the Line Half Marathon. Runners from 16 states ran in the race. 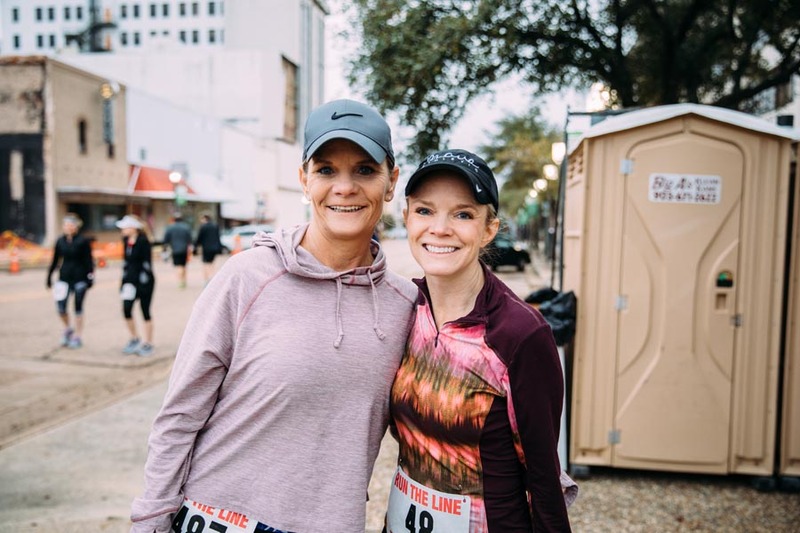 The race is a unique opportunity to run in one race in both Arkansas and Texas. The USA Track & Field certified course includes Nix Creek Trail, Phillip McDougal Trail in Spring Lake Park, and city streets with coning. The 3rd and Wood Street finish line included a post-race awards presentation at the historic Roy D. Hopkins Ice House. Awards were presented to the top three female and male finishers in Overall, Masters, Grand Masters, and Senior divisions. 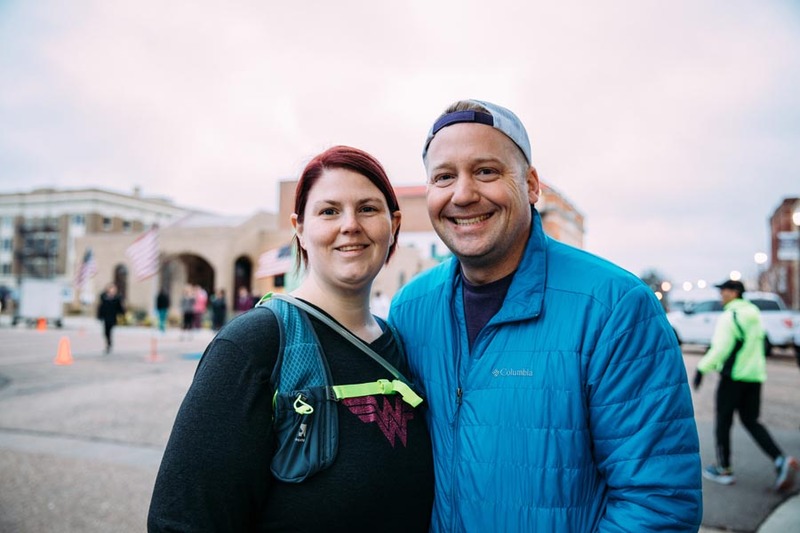 Plus, the top three places for female and male runners were presented in 5-year age increments along with the top female and male walkers and the top three places for 2-Person and 4-Person Relay Teams. 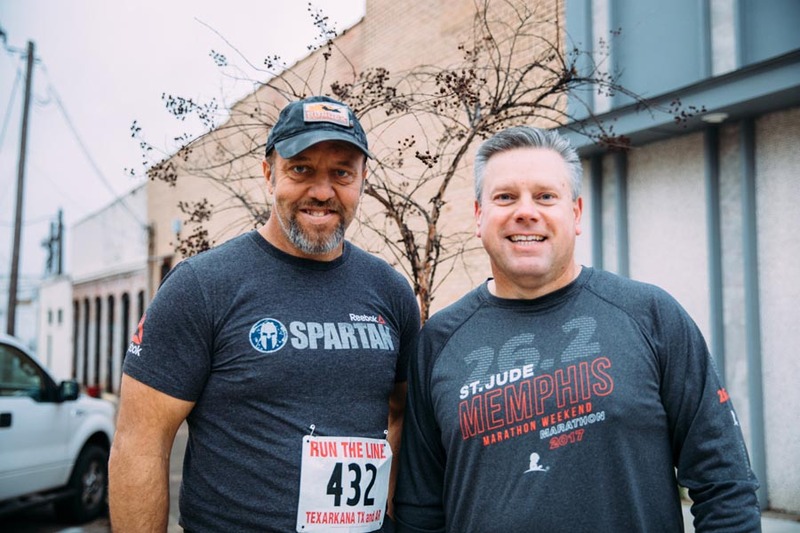 This was the seventh year for the race to be included in the prestigious Arkansas Grand Prix Series and participate in the Ark-La-Tex Challenge. The Challenge was again won by Arkansas. 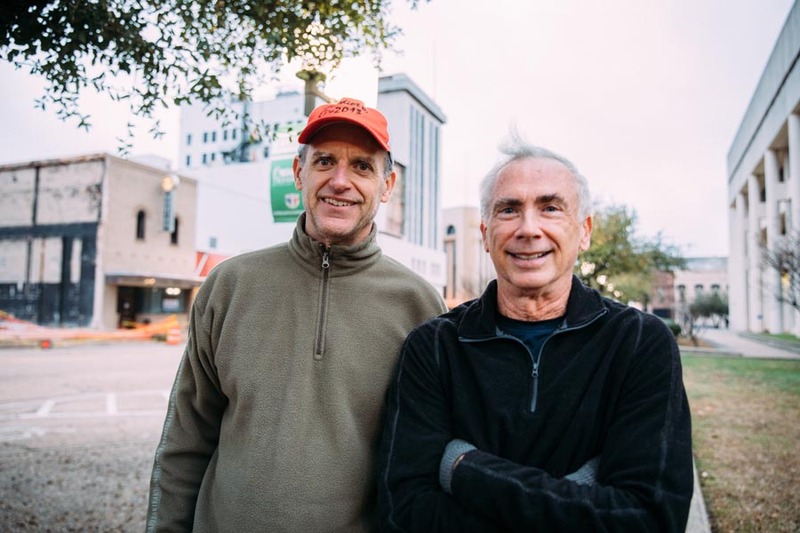 Partnership for the Pathway is available at www.txktrails.org. The race benefits the Partnership for the Pathway.